With the euphoria of the U.S. women’s soccer team winning the World Cup, many predict that youth soccer will receive an even bigger boost. While already one of the fastest growing youth sports, some have called for banning headers due to a rising number of concussions. But, a new study suggests that changing the rules won’t decrease head injuries. Although headers are sometimes considered the most common reasons player get concussions, athlete-to-athlete contact is the more likely cause, according to the study. Researchers believe banning headers would lower concussions only slightly because nearly 70 percent of concussions among boys and girls were attributed to body-on-body contact between players. The study found that for every 10,000 practices or game action plays, girls suffered 4.5 concussions and boys 2.8. 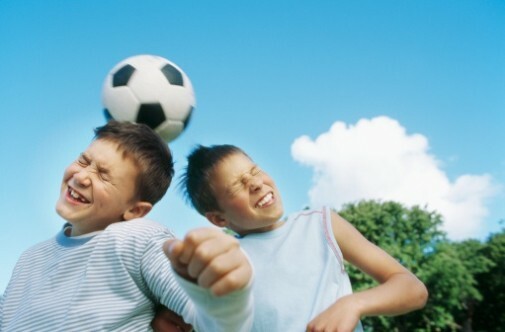 Currently, almost 800,000 teens play soccer in the U.S., a main reason for the increase in head injuries. Concussions have been in the spotlight as they can lead to long term health problems.